No arranged bouquets are very popular. They look very casual and modern. It is spring and the wedding season starts. The long winter changed the warmer days and brides in beautiful white dresses. For all couples, this is the most important day of life and with a lot of patience, love and effort are conceived every hour of that day. Grooms are more relaxed, but the brides take care of every detail. After the dress, the most important part is the bouquet of flowers that the bride will carry that day. Wedding bouquet is therefore, something to what they devote special attention to this detail. 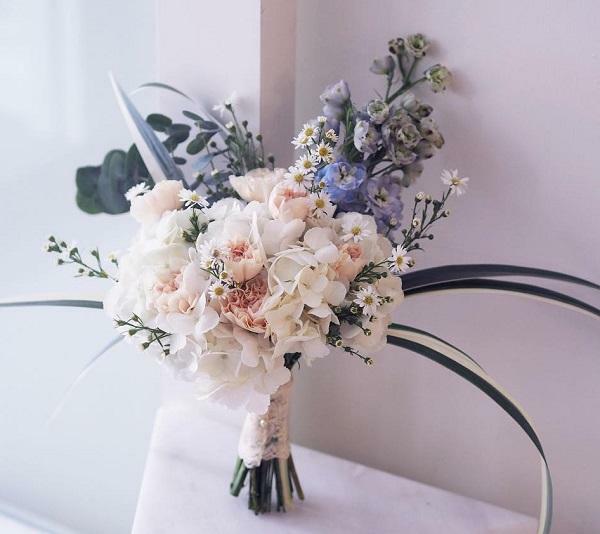 Wedding bouquet is a bouquet of flowers of the same or different kind, that forms a whole with style. 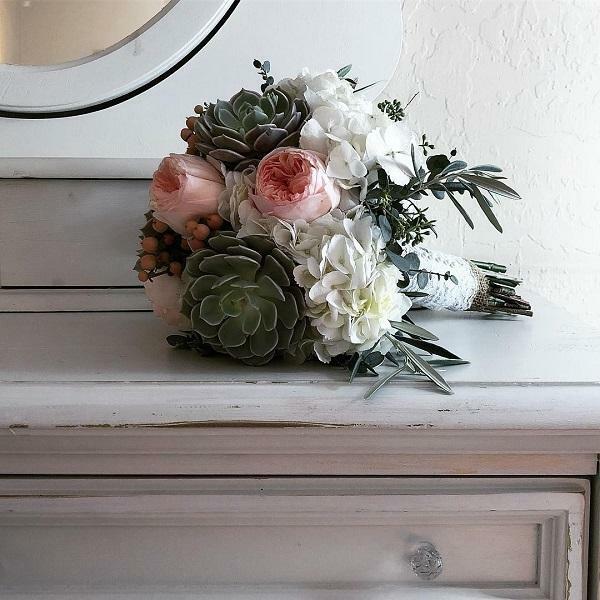 Brides have a wide variety of flowers that can be used for their bouquet. Ladies are most likely to choose roses, but and other kinds are very often and popular… In fact, the bride can choose which flowers she wants. It should be the one she loves most because it is her day. 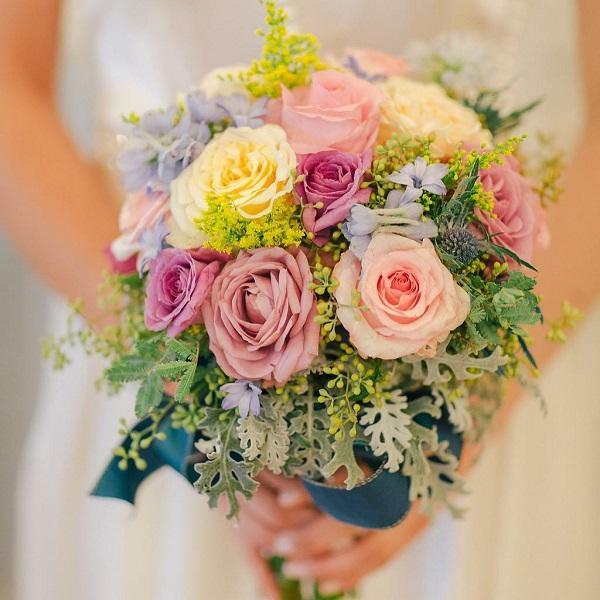 The symbolism of wedding bouquets is large and it goes back to distant history. These bouquets should be elegant and beautiful. Here’s one interesting fact. In the Old Rome, wedding buckets were made from scented medicinal herbs in order to get rid of evil spirits and to provide to a couple a happy marriage. This custom of carrying flowers on weddings dates back in 400. year. Namely, the brides wore flowers and grass wreaths on the heads that were supposed to drive out evil spirits. 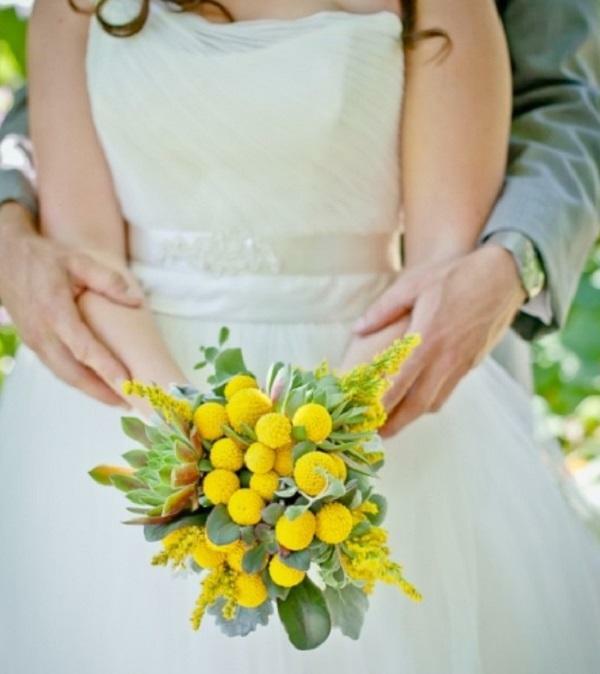 The Roman brides wore yellow wreaths because they believed that the god of marriage most of all likes this color. The wheat grains of the brides wore a symbol of fertility. Bouquets similar to today’s are from 1420. They are wrapped in metal holders filled with moss in order to preserve moisture. 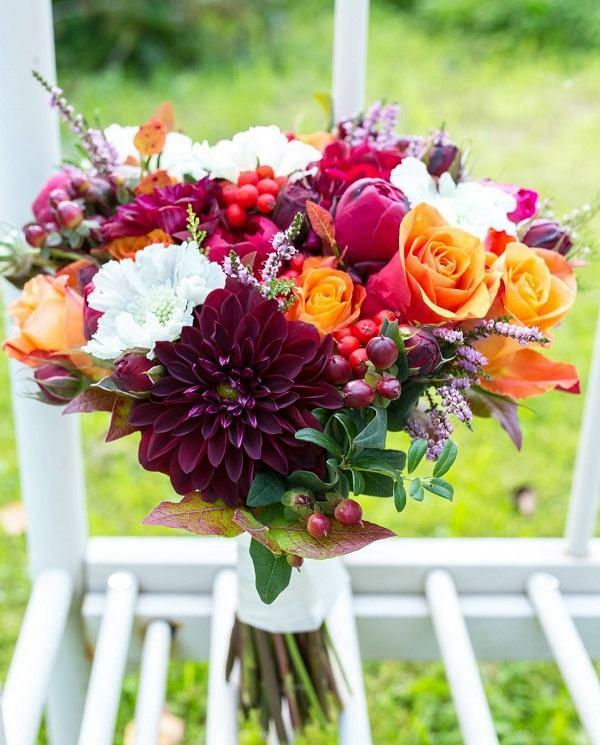 In the seventies for formal weddings, classical bouquets of darker colors were used, and for the informal, often used no arrange bucket of flowers. 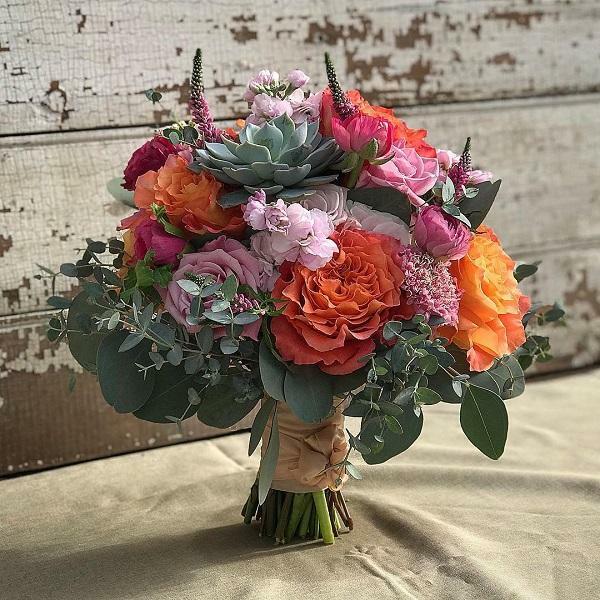 Round bouquets of flowers today are a classic, but many brides wanting to be original can put buns, hot peppers, moss, mushrooms, and many other things from the nature in the bouquet. 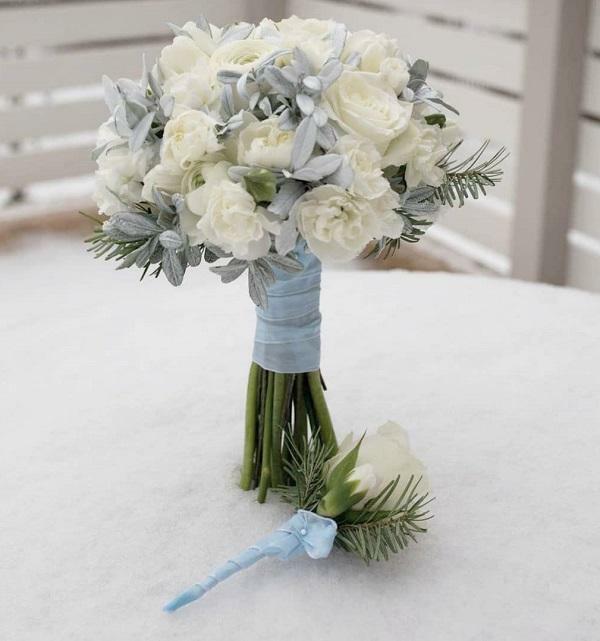 Today, wedding bouquet uses much more greenery than before in order to achieve the natural look of the bouquet. The tape and ribbons are completely ejected from use. In the eighties of the last century silk wedding bouquets were very popular, but they are not used at all today. 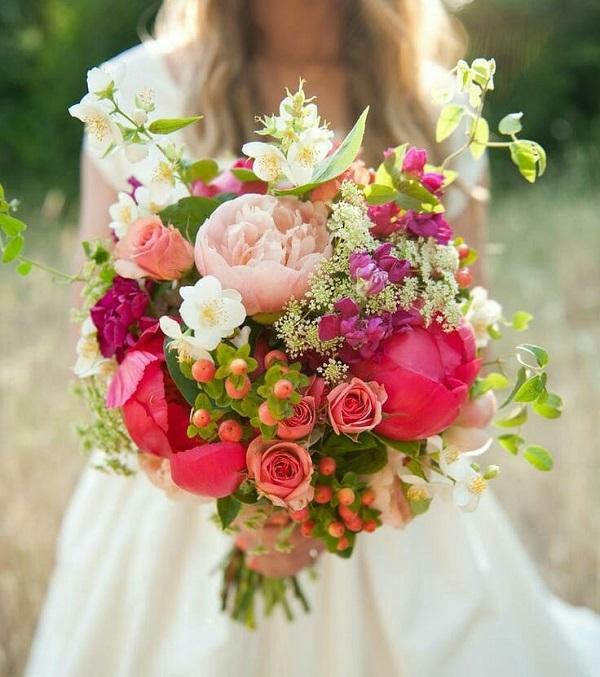 All in all, wedding bouquets should be combined with a wedding dress, with its style and color. 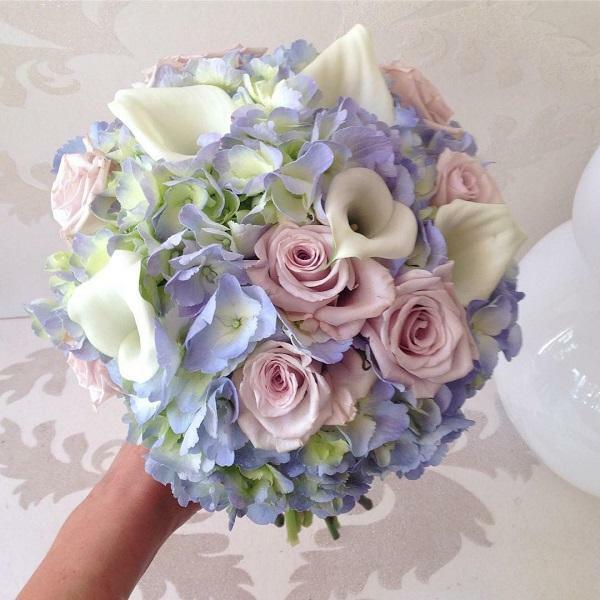 Today it is very popular that the bride has two wedding bouquets. One bouquet she will throw in front of the church or the municipality after the wedding, and the other will keep for herself to take pictures with the guests later. The most important thing is to remember one thing – that’s your day. Let everything be the way you and your dear want. Enjoy yourself and not others. People will always find fault, so do not worry about it. Be consistent and faithful to yourself, your desires and attitudes, your soul and your heart. And enjoy, the little things you see are not seen by anyone else. 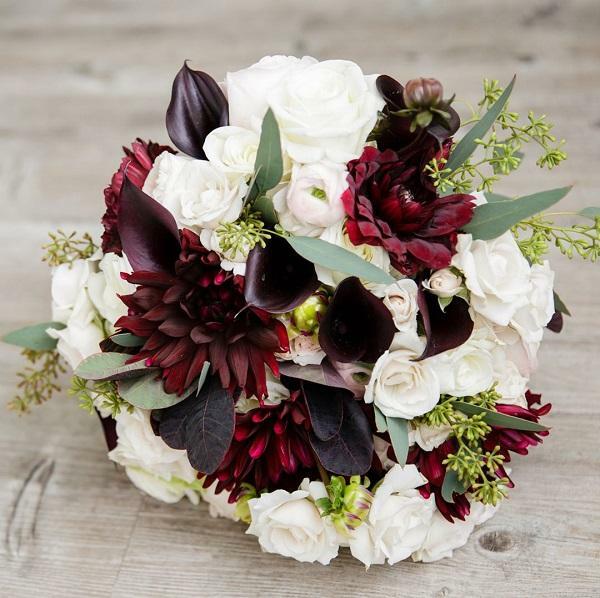 Many ladies want to be unique and original on the wedding, so they choose for their bouquet strong and striking colors like black and red. 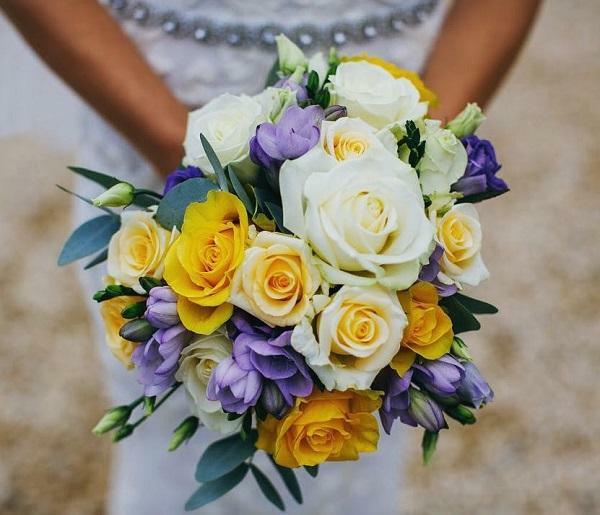 In pagan times was believed that yellow was favorite color of the god of marriage and that it would bring happiness to the bride. This color was very common at weddings. 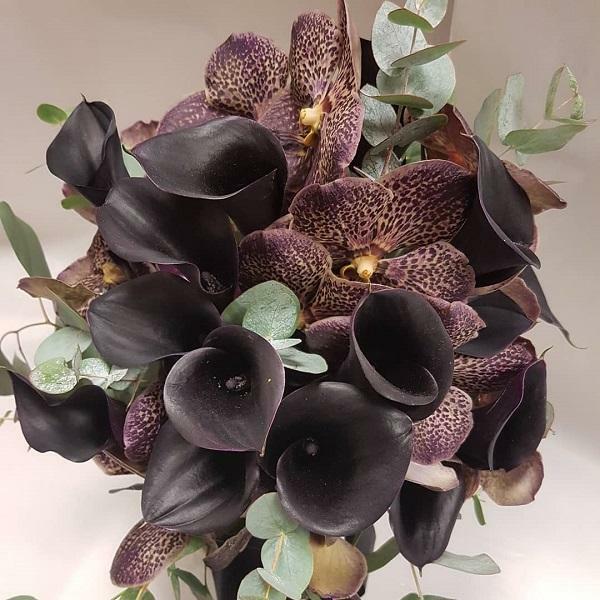 Zantedeschia aethioipica and orchids are a very elegant combination that will make your appearance sophisticated and give to it a special note. 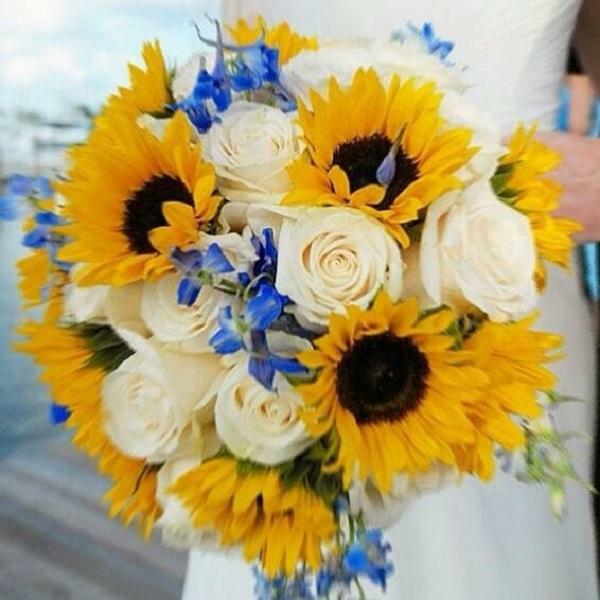 The sunflower will give you a touch of playfulness, naturalness and spontaneity on your important day. The white flowers at the wedding will always be popular. Although tape and tile are no longer used in making wedding bouquets, it’s not forbidden to use them in this subtle way. Violet color is a favorite for many young people and they choose decoration in violet -white color. On the day of your wedding, make sure you enjoy and do not think of the little things you have forgotten about. Because they are forgotten. 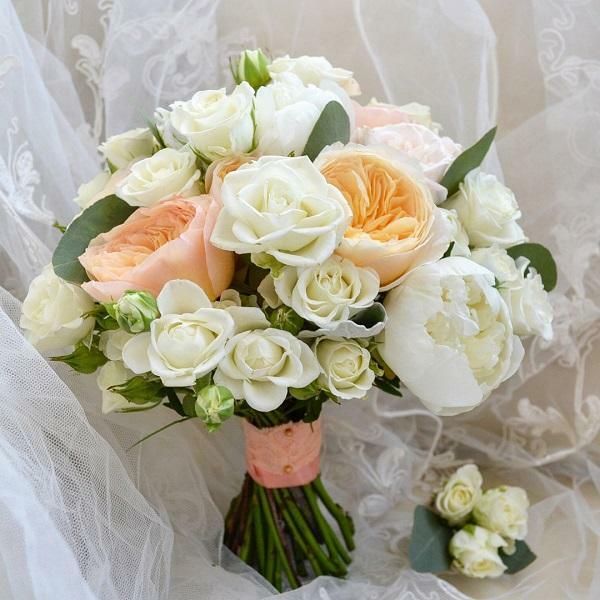 Wedding bouquets are the most important decoration of every bride, so choose them carefully. 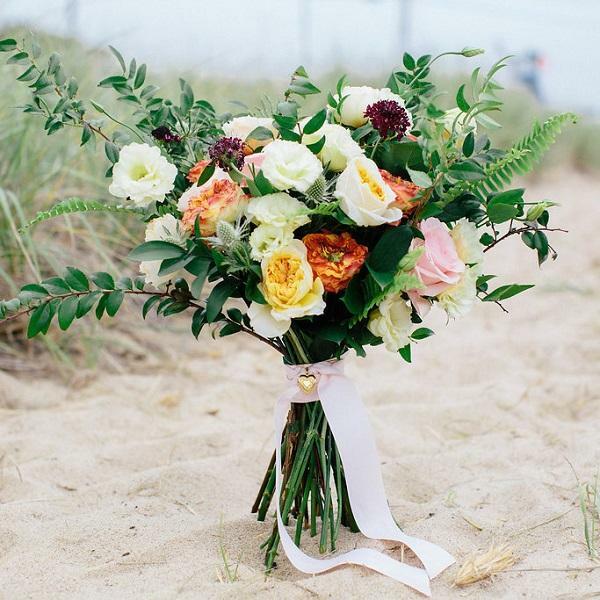 Choose wedding bouquets according to a wedding dress. 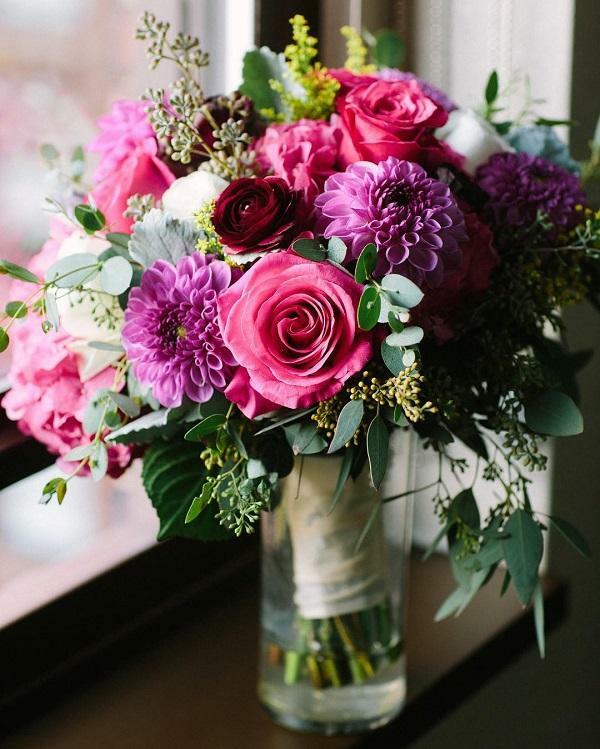 Wedding bouquet does not only have to be combination of two or three colors. See how colorful flowers can look great. 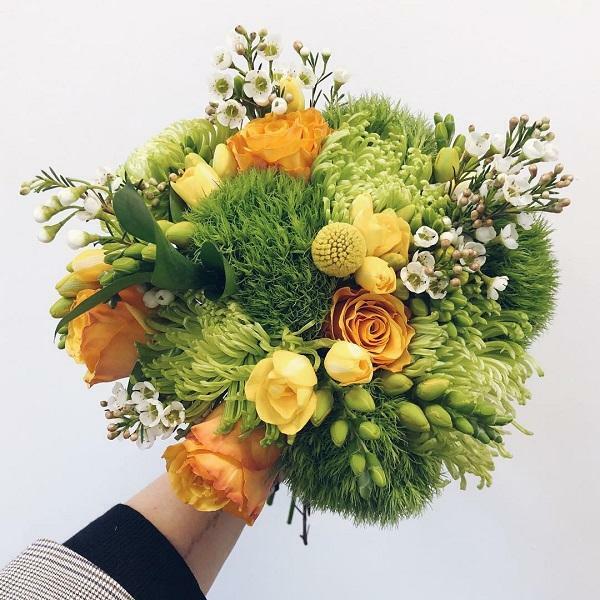 A lot of green is what is often wanted from bouquets today. Pink white combination of colors is feminine and very popular among the brides. 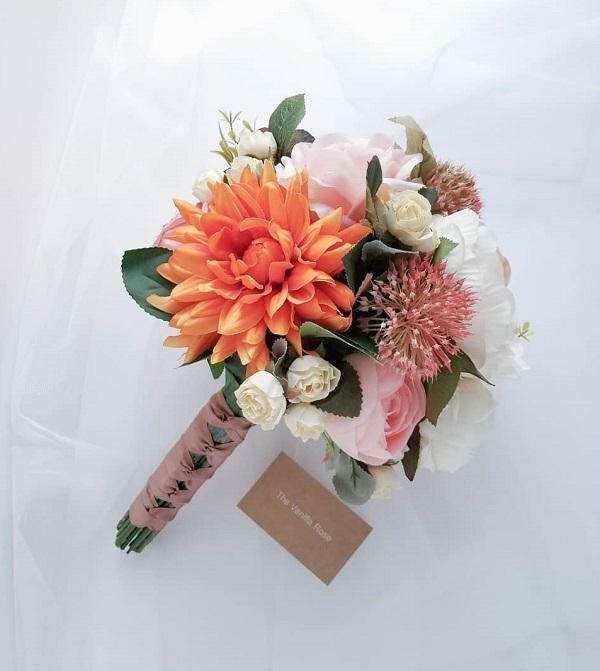 A very nice ordinary bouquet of flowers that looks very original for the wedding. 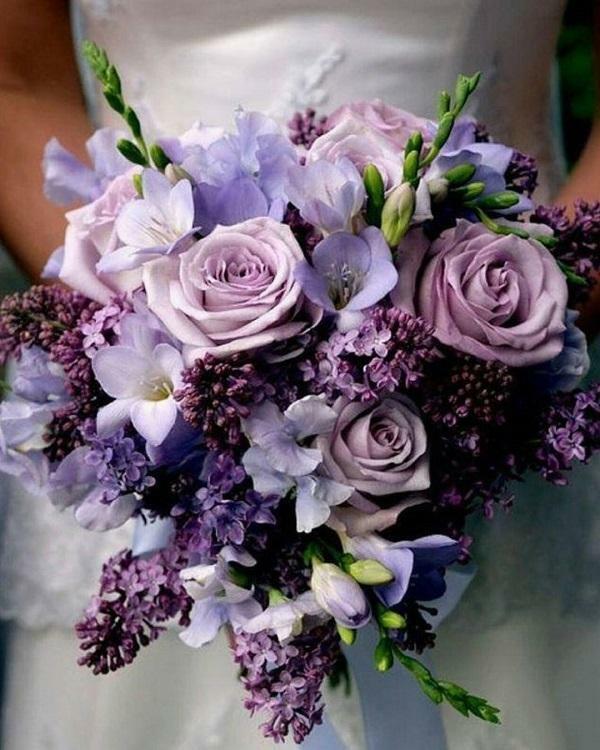 If you choose flowers in lilac color, you can decorate your white wedding dress with some detail in a similar shade. 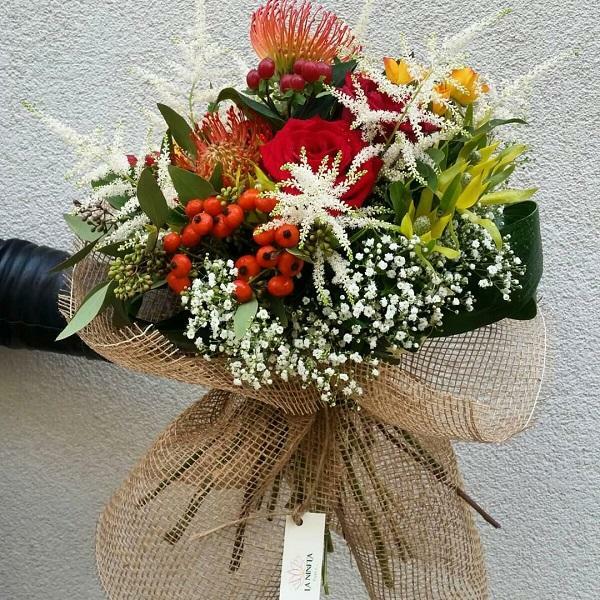 Small bouquets of flowers can look also very sophisticated and elegant. Enjoy completely on your most important day, forget about all the worries and nerves. Sempervivum tectorum is not a very common choice in making wedding bouquets, but it can give them a very nice seal. It is believed that it brings happiness. 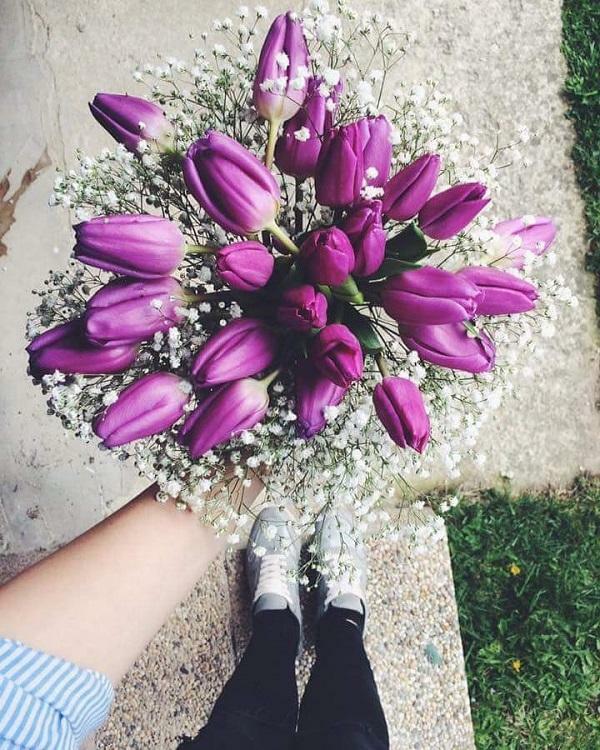 Tulipa is a very gentle, seductive and feminine spring flower that is often used in making wedding bouquets. They say that the yellow color is synonym for jealous, in this case I would say that it is synonym for elegance. 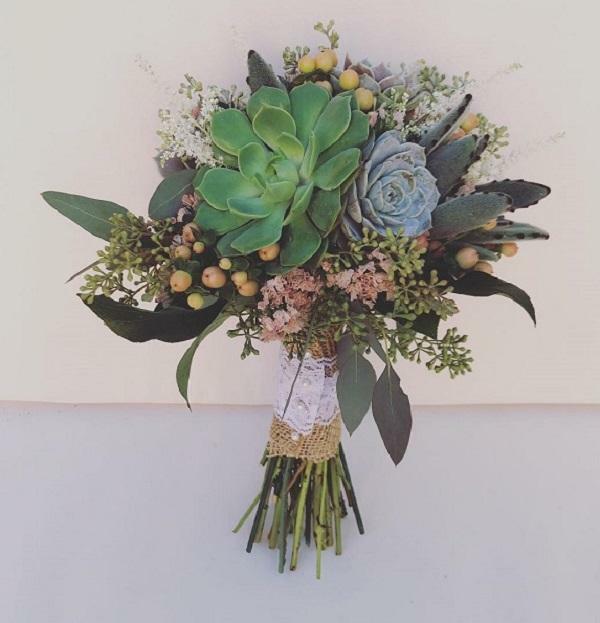 Instead of flowers, parts of Sempervivum tectorum were used here as a central decoration of this wedding bouquet. For sempervivum tectorum is believed that protects against lightning and accidents, and many preserve this plant as a home protector. 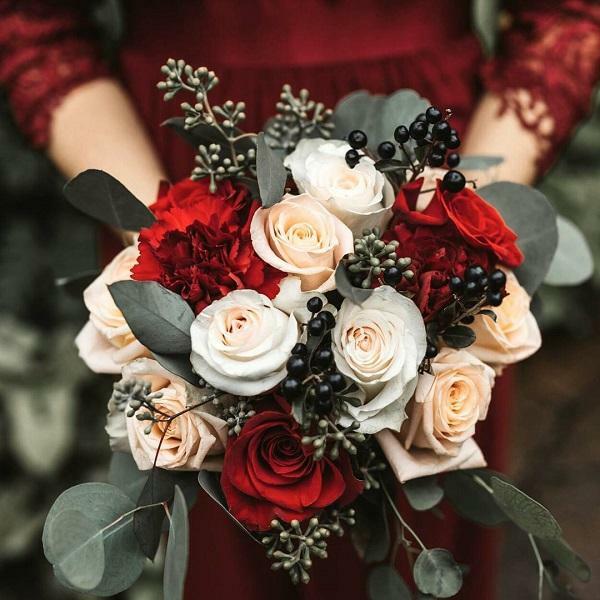 Combination of red and white is very common on weddings, so brides choose this combination and for their wedding bouquets. 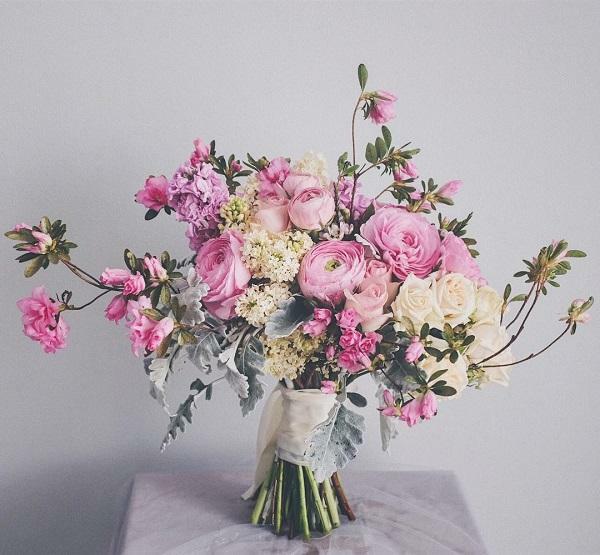 This bouquet looks very casually and spontaneously and that’s what its beauty is about. 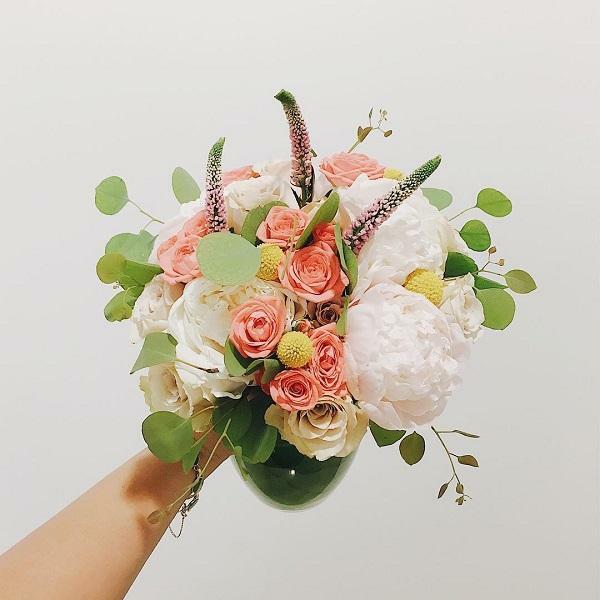 Such bouquets are extremely modern.